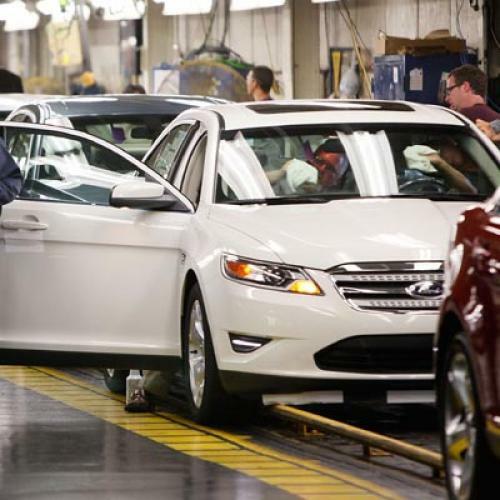 The North America unit, which accounts for 42% of Ford's overall vehicle sales, reported pretax operating profit of $357 million compared with a loss of $2.6 billion a year earlier. The improvement came from job cuts, lower costs for materials and consumers buying more high-end models equipped with technological features [emphasis added]. I'm guessing that, for the first several months of this year, the people outside the gym were too concerned about winding up inside the gym to even buy a car, much less splurge on one with fancy features. But now that it looks like the economy has stabilized, these people are opening up their wallets again. And, when they do, many can afford more than just the basics. Going forward, the real problem may be the bifurcation Leonhardt was writing about: An economy that feels okay for tens of millions of people, but which feels absolutely terrible for millions more. Obviously, figuring out how to ease the pain for that latter group (while minimizing the flow of people into it and maximizing the flow out of it) will be the central public policy challenge of the recovery.